In the simplest terms, this is a noir-detective story... But the unique symbiosis of two separate cities (in two separate countries) that happen to occupy the same physical space adds a complexity (both practical and allegorical) that the hard-boiled gumshoes of yore could never manage. 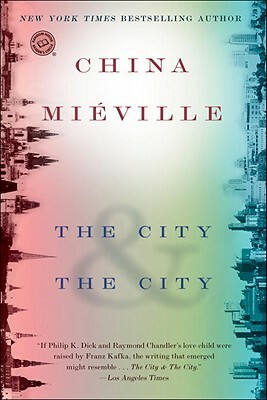 China Miéville is the author of King Rat; Perdido Street Station, winner of the Arthur C. Clarke Award and the British Fantasy Award; The Scar, winner of the Locus Award and the British Fantasy Award; Iron Council, winner of the Locus Award and the Arthur C. Clarke Award; Looking for Jake, a collection of short stories; and Un Lun Dun, his New York Times bestselling book for younger readers. He lives and works in London.